It can be a struggle to find the best campervan air conditioner for your van build. Especially considering that there’s no way to seriously lower high temps without burning a lot of watts. To clarify that last statement, I’m talking about dropping from 90 ℉+ (32 ℃) to a comfort zone around 75 ℉ (24 ℃). Yes, you can move air with fans and create a more comfortable feeling space, but actually dropping the temperature of the interior of your van burns serious wattage. Installations can require duct work with holes cut in the exterior, control panel installation, wiring and other technical work. Our goal with this resource guide is to educate you so you can choose the best 12 volt air conditioner for your vanlife experience. 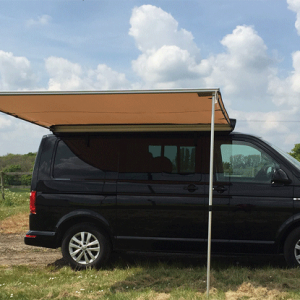 This article will help you decide which system is right for your van, according to your travel area, style and campervan build. And of course I’ll be recommending the most trusted, cost effective and durable products. I have to chuckle when I see a 110 volt air conditioning unit made for residential interiors (aka “window shaker”) hanging off the side or back of a van. And more power (quite literally) to those road warriors. 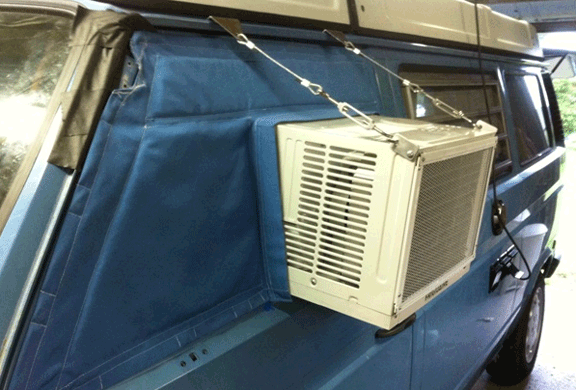 I don’t mean to make light of the necessity and even urgency involved in having a good campervan air conditioner. Extreme heat and financial realities can make solutions like this seem like the only option. But issues like long term costs, efficiency, space savings, weight, durability and noise are also very real, and I believe that through education and planning, cooler heads can prevail. Have you ever spent a night, a weekend or longer in a climate that’s so extremely cold or hot that it’s all you remember about the trip? I certainly have. Campervan travel can be full of challenges, and it’s important to have some control over our environment for sleep and driving comfort. Some people adjust easily to higher temps, so a cool sleeping space might not be a big deal. But most of us don’t get much rest when it’s too hot at bed time. Personally, I also want to be able to escape the heat during the day when it’s very hot. If you’re traveling with pets, a cool van can be an absolute necessity when you have to leave them alone for any length of time. So while the initial cost of a quality campervan air conditioning system might seem high on paper, the value of a comfortable living space can mean the difference between fun, memorable travel, and miserable, sweaty, even dangerous misadventures. There are many issues to consider when choosing an AC system for your van. 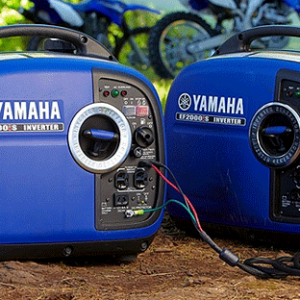 Three of the major considerations are power usage, durability and noise. 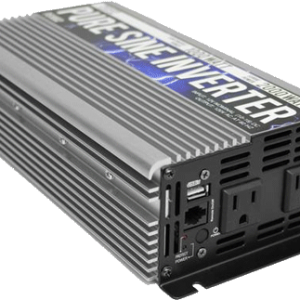 If you’re only using shore power and have no plans to camp off grid, you won’t need to worry as much about power usage for your AC unit. For those who will be more self sufficient, power efficiency is a major priority. A full compressor or heat pump unit will burn lots of power, so you’ll want to maximize your on board power, while minimizing AC and Heat use, when possible. It’s important to take durability seriously, as campervan air conditioners experience vibration and jostling that home units don’t. This is why I don’t recommend a “window shaker” or other residential type unit for your van. 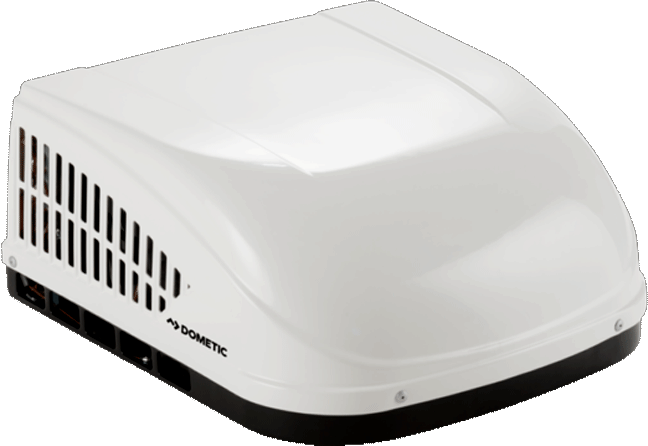 Dometic Brisk II Polar Campervan Air Conditioner. Click to see prices and ratings on Amazon. 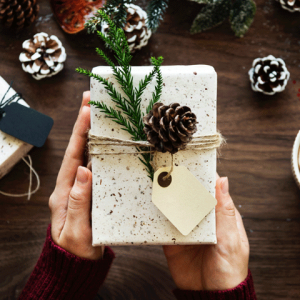 Fortunately there are several brands and models that have been on the market for a while, so durability tends to be part of product ratings by consumers. Keep in mind that most air conditioning units cost enough that you’ll want replacement and repair parts to be available. We’ve done our best to locate those units for our reviews, below. Scanning the reviews of most campervan related machinery, you’ll find noise related comments. If you sleep like a log, quiet will be of less concern, but even the heavy sleepers can be annoyed by persistent machine noise during the day. A noisy air conditioner can be a sign of poor quality. 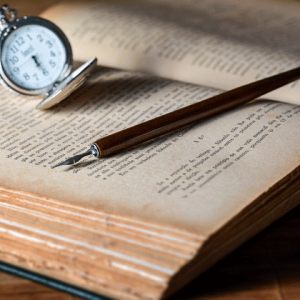 In HVAC equipment, quiet is achieved by fan blade balancing, insulation, proper fit of mounting and other hardware, as well as build quality of motors and compressors. So when looking for air conditioning products to recommend to our readers, quiet is a major factor. In recent years virtually every available A/C technology has been adopted specifically for RV and Campervan space and voltage needs. Below I’ve outlined the three major types of air conditioning. Compressor air conditioning systems are the most effective way to lower air temperature. They also use the most energy. Fortunately, there are many options for compressor A/C units, in multiple sizes and price ranges, for campervans. Alternating between cooling with a compressor unit and circulating air with a roof vent fan is a highly effective way to reduce internal van heat in any climate. But to go this route for cooling, you’ll need to plan for high energy use. This may include installing a generator, comparatively massive battery banks, or driving a few extra miles for a shore power hook up if the heat is really bad. Again, I’ll rely on Wikipedia to get us started on evaporative cooling details. A while back I was considering a swamp cooler and the MightyKool 12-volt model K2 was clearly a great option. Question: Will the Model K2 cool an entire Camper, Sleeper, Boat, Vehicle, Tent, etc.? Answer from MightyKool: No, as that would take an Air Conditioner and there is no such thing in the World as a self-contained 12-volt A/C. The 12-volt model K2 Evaporative Cooler will however cool People or Pets IN a Camper, Sleeper, Vehicle, Boat, tent etc. with Proper Ventilation. There’s a lot to unpack in this short bit of Q & A. By “self contained 12-volt A/C”, he means an A/C unit with it’s own power source that does not require outside ventilation or drainage. Some might debate this statement, but I tend to agree with it, as all these things are required for a compressor/evaporation A/C unit to function and they can be considered external to the unit. Nonetheless, many van dwellers use and even prefer swamp coolers over other types. 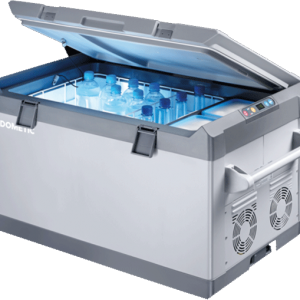 As swamp coolers don’t cool interiors, but only cool the person or animal they’re directed at, they might leave you wanting more if you’re traveling in very hot climates. But, again, lots of van and RV dwellers are okay with that and prefer the simplicity and relatively low power use of an evaporative cooler. Heat pumps work similarly to compressor type AC, but they can heat as well as cool the air. It’s complicated, so here’s a Youtube video that does a great job of simplifying how heat pumps work and why they’re so efficient. Because I travel through a variety of climates, the mini-split is my favorite source of both A/C and heat in non-diesel vans (In a diesel powered van, I prefer diesel heating systems). For example, in mid March of 2018, I was parked on BLM land in Joshua Tree, California. The daytime temps were in the upper eighties. That’s fine if you’re out and about, but might result in some roasting inside the van during the day. At night, however, with a steady desert wind blowing, we experienced lows in the mid 40’s. So, on this trip I ran the Mini Split for about 30 minutes during a daytime nap and then again for part of the night to get the temp above 60 as we hadn’t packed much for blankets or lower temp sleeping bags. The built in thermostat on the unit kept the van between 75 and 80 degrees under any conditions and only kicked on a few times, so power use was minimal. Of course in hotter/colder situations, power use will be higher. Heat pump technology has come a long way in the last decade, making smaller RV and Campervan “mini split” units durable, efficient and more affordable. I wish there were a half dozen of each type of Air Conditioner for Campervans to recommend, but the field is pretty narrow for each type of AC. The good news is that the products that are available are great. If you’re not committed to diesel or propane gas, or other electrical heating for your Campervan, these mini split units are a great solution to all your heating and cooling needs. Assuming you’ve got the solar, battery, generator and shore power gear to support the power use, a mini split makes heating and cooling so simple, you rarely have to think about it. The Coleman® Mach 3 is among the best valued campervan air conditioners. Coleman AC units have been used by vanners for a long time . Replacement parts are readily available and technicians know the units well. The Mach 8 is the lowest profile unit available. Two motors allow the Mach 8 to deliver the same high BTUs of cooling on both high and low speeds. Extra quiet at low speed. This model features a heating unit. 6000 BTU electric heat element. Fiberglass design is strong, durable and lightweight. Work even in 125ºF conditions. I’m always amazed at the range of high quality Dometic products suitable for Campervans and the Brisk 2 Polar is no exception. Smart design and durable materials maximize air flow and performance. It is best-in-class of any standard RV rooftop air conditioner for weight, air flow and capacity. Tested for use in extreme conditions. The Penguin II’s smart design and improved materials combine to maximize air flow and performance. It is best-in-class of any standard RV rooftop air conditioner for weight, air flow and capacity. Tested for use in extreme conditions. Atwood claims the quietest, most energy efficient air conditioner in its class. Features 15,000 BTU output performance. Air Command provides great cooling. 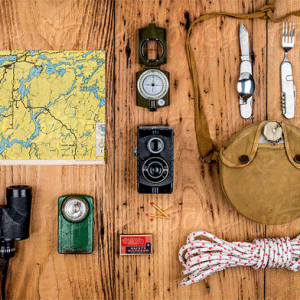 durability, function, and features unlike anything else on the market today. Advent 15,000 BTU Rooftop AC unit. 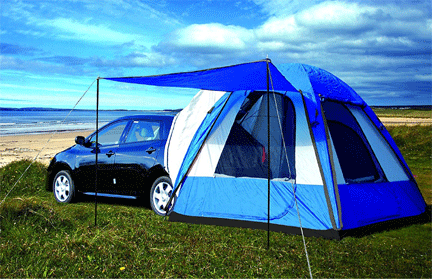 Engineered and built from the to withstand the challenges of Campervan installations. Unfortunately, there are not a lot of swamp coolers available on the market. This is due to the limited ability of these units to cool living space. In order to get the most out of an evaporative cooler, the unit needs to directed at the person (or pet) they’re intended to cool. This product is impressive in many ways, and, it’s admirable that the manufacturer is so forthright about its limitations. So please, when considering this unit for your Campervan, give serious thought to whether a swamp type cooler will be enough for your cooling needs. The MightyKool K2 runs on 12 volt power or 120 shore power. 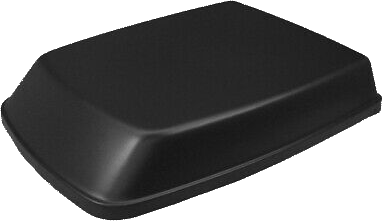 The product includes a 120 to 12-volt converter. Also includes 2 extra Smart Cooling Filters. Cools up to 25 degrees in dry climates & 10 degrees in humid cliates. If you want some simplified info on how air conditioning works, here’s a great post on “A/C for dummies”. And if you want to go very deep into campervan air conditioner geekery, this article will do the trick. How are you planning to stay cool in your van this summer? Please leave comments and questions, below and we’ll do our best to answer.